As I mentioned in the last article, I’ve been spending much of my time lately working on single player content for Prismata while the rest of the team continues development on art/sound, the servers, the Windows/Steam version of Prismata, and new features. Today, I want to reveal a few more things about Prismata’s single-player content. 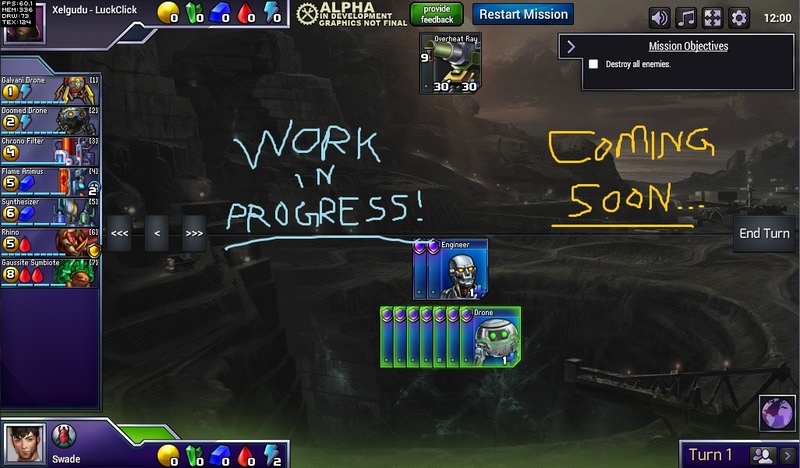 Debug mode screenshot from one of dozens of Prismata puzzles we’ve been working on. Yep, that’s a 30/30 Overheat Ray!